May 2018: MACE Freshford recently celebrated the officially opening of their new store with a family fun day for customers, staff and family. The event took place on Friday, May 18 from 12 until 3pm and there was plenty to keep people entertained with music, raffles and fresh food samples from the deli and bakery range. The local children had a great time with face painting and balloon modelling, as well as a bouncing castle. The National Reptile Zoo were also on site showcasing some rare exotic creatures and their habitats. 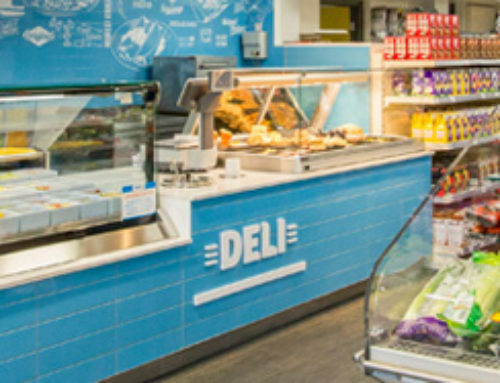 The original Freshford store was rebuilt in 2017 and underwent an extensive revamp to include a state of the art service station and convenience store with a large focus on fresh with their new for food’s sake deli range, grocery and off licence offering. The store also has a strong coffee business with Seattle’s Best and its own instore bakery range. 1. This competition is open to residents of the Republic of Ireland between the ages of 8-14 with Parent/Adult/Guardian approval, except employees of the Promoter or participating retailers and their families, agents or anyone professionally connected with the promotion. 2. Winners must be 14 years of age or under at the time of application. 3. 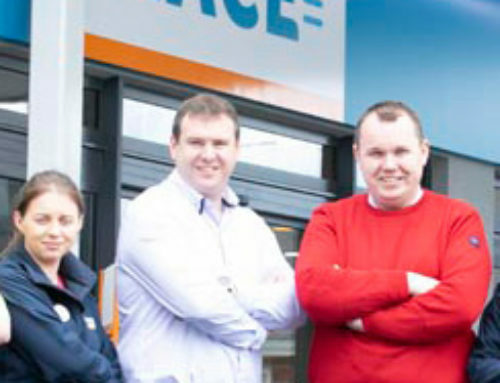 The Promoter and Data Controller is BWG Foods, BWG House, Greenhills Road, Tallaght, Dublin 24. 4. How to enter: In no more than 500 words tell us about your community initiative and why it deserves to win the exclusive training session with Johnny Sexton. Entries can be accompanied by images if desired. 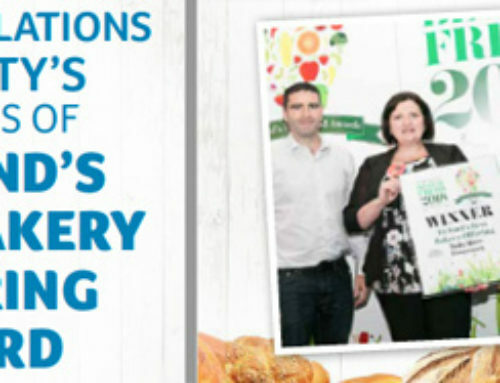 Entries will be accepted in a number of ways – via mace.ie; by post to MACE; by email to competitions@mace.ie. Entrants must provide a daytime contact telephone or mobile number. All entries must include the child’s name, address and age along with the contact telephone number or email of the parent or guardian. No use will be made of the details supplied other than for the purpose of this competition. All Entries must be received by midnight 7th November 2018. 5. The prize consists of a rugby training session with Johnny Sexton. Those participating in the prize must be aged 8 years old or over but no more than 14 years old. There is a limit to the time available for the training session and the number of people who can take part in the training session. Full details of the prize will be shared with the winning entrant. There may be additional requirements for publicity photography and other promotional requirements of the promoter. 6. The prize will be awarded to the winner who has, in the opinion of the judges, outlined in less than 500 words what makes their community initiative the one that is most deserving of this fabulous prize. The panel of judges will include at least one member who is independent of the promoters. The decision of the judges will be final and binding and no correspondence can be entered into. The entry that is deemed to be most deserving of the prize, as decided by the judges, will receive a prize of a training session for their local school or rugby club. In both instances agreed access to rugby pitch in the community is a requirement of entry. The prize must be availed of when it suits the promoters and before end May 2019. 7. Timings- entry to this competition will run from the 13th September to the 7th November 2018. 8. Entry for the prize is open to primary schools and rugby clubs. In the case of primary schools they must have access agreed to a suitable rugby pitch in the community in which the winning school is located. 9. 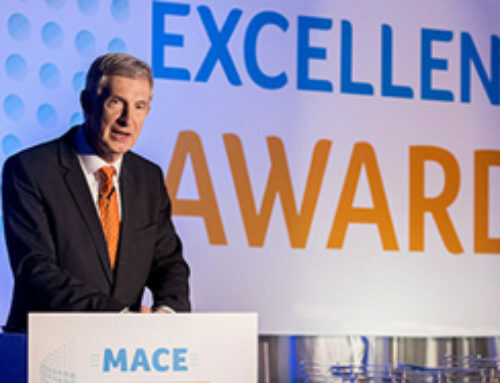 By applying, the winner and those participating in the prize will give MACE the right to publish photographic or video images of them and their school or club members for publicity purposes. 10. All participation instructions form part of these rules. 11. If the promoter is not able to contact the winner within 2 weeks of the closing date for receipt of entries then another winner will be awarded their prize. 12. Entries must be received by midnight on 7th November 2018. No entries received after this date will be included. The winner’s parent or guardian will be contacted directly by 23rd November 2018. Entrants can enter as many times as they like but no entrant may win more than one prize. 13. In the event of unforeseen circumstances, the promoter reserves the right to change the event activities or offer alternative prizes of equal or greater value. 14. The prize/offer are non-transferable, no alternatives will be offered and must be taken up by the date shown in (4) above. 16. No incomplete or corrupted entries will be accepted. Entries will only be accepted if they comply with all entry instructions. 17. Proof of sending will not be accepted as proof of receipt. The promoter does not accept any responsibility for lost, misplaced or damaged entries. 18. Entry to the competition will be considered a full & unconditional acceptance of the terms and conditions of this promotion. 19. The Promoter shall not be liable for any loss, damage or consequential damage of any nature in contract, tort (including negligence) or otherwise caused by acceptance of the terms and conditions or in connection with the Prize (to the extent permissible by law). 20. By entering the promotion, all entrants will be deemed to have accepted and be bound by the rules and consent to the transfer of their personal data to the Data Controller for the purposes of the administration of this promotion and any other purposes to which the entrant has consented. All entry instructions form part of the rules.